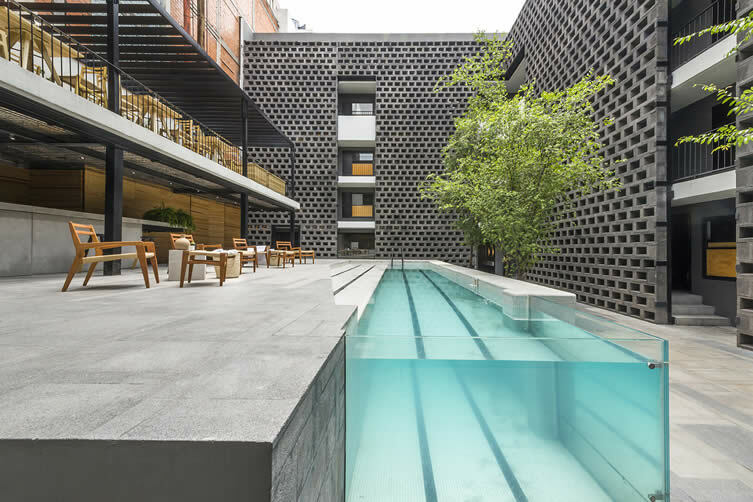 Inhabiting the shell of the neglected 1970s icon Hotel Jardín Amazonas, Mexico City’s Hotel Carlota retains a gritty edge, taking its indoors-outdoors motel vibe from its former life; Ignacio Cadena’s Cadena + Asoc. 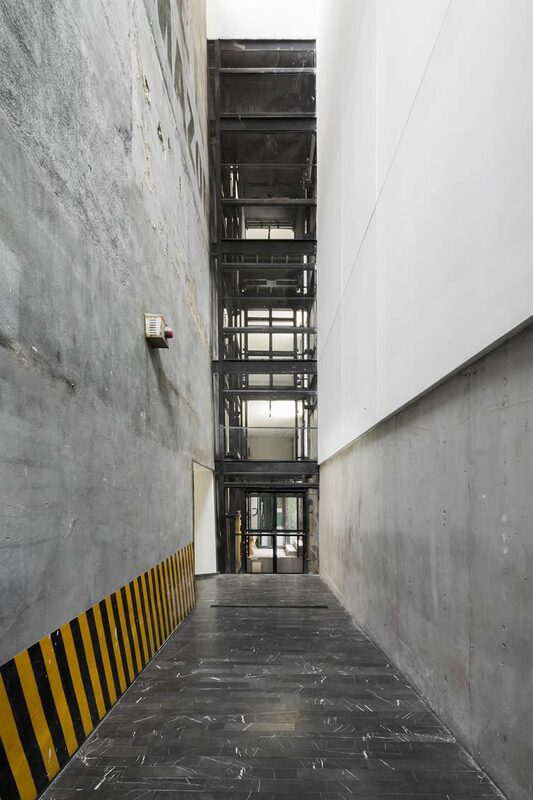 and Javier Sánchez’s JSª Arquitectos collaborating on an industrial remodelling that includes an intermittent façade of rough concrete blocks. 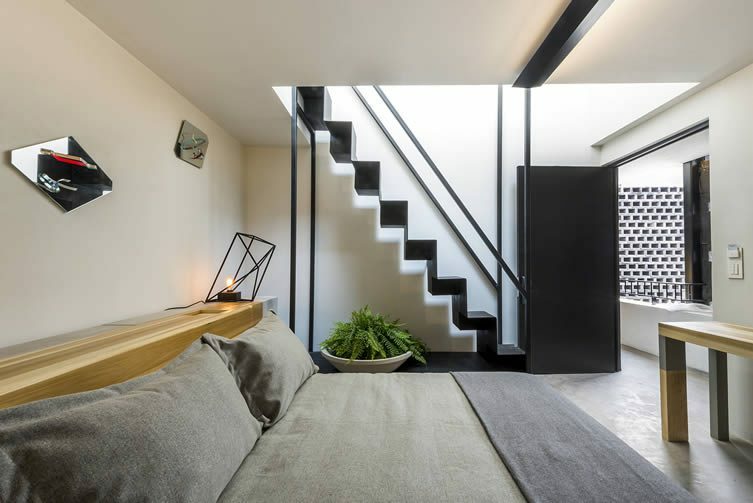 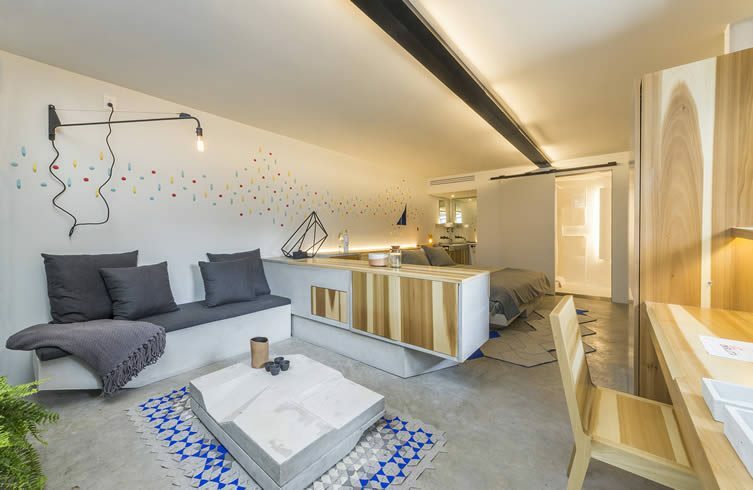 Inside the rooms, concrete and wood sit by side, echoing the ‘concrete jungle vs Mexican heritage’ culture clash that defines Mexico City, and embracing the vibrancy of its neighbourhood, Cuauhtémoc, through bright accents and Aztec-influenced textile elements. 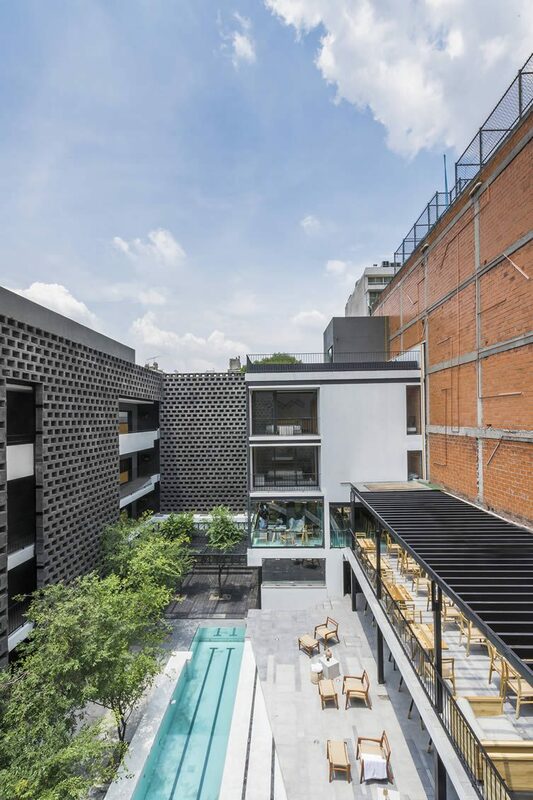 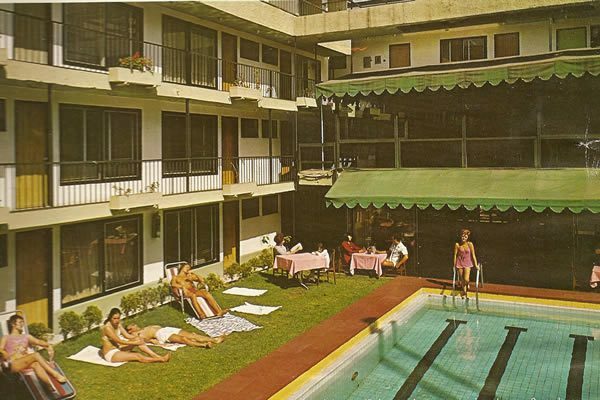 The expansive openness of the communal areas, bar, and restaurant stays true to the original Jardín Amazonas, and the pool as focal point is retained; if glammed-up somewhat. 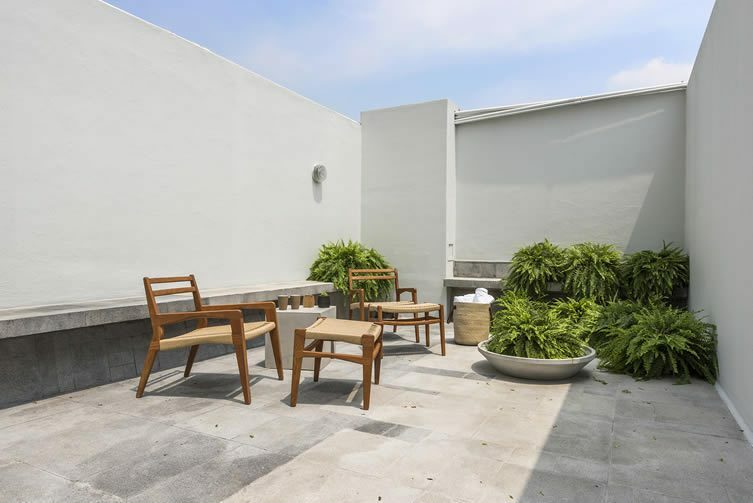 Local designers La Metropolitana have produced a series of original furnishings rooted in age-old manufacturing techniques — which can be found throughout the hotel, including Carlota’s outdoor restaurant space, where chefs Joaquin Cardoso and Sofía Cortina serve up Mexican treats like huevos rancheros, pork cheeks and mole dulce. 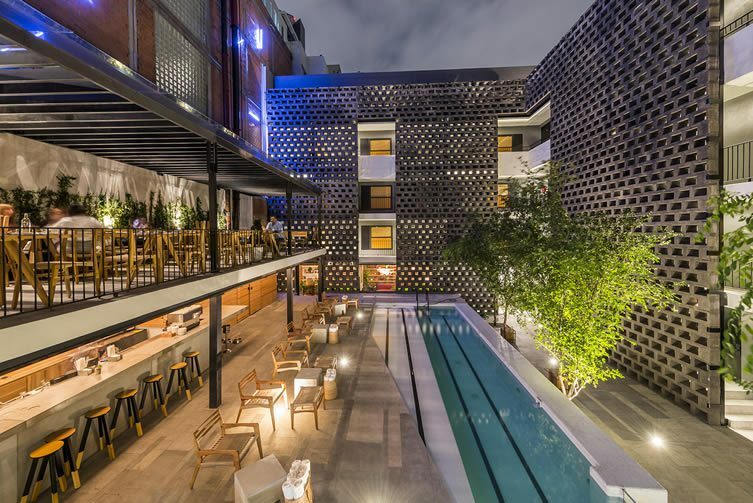 Bashing together old and new with all the freneticism that embodies manic Mexico City, Jardín Amazonas’s rebirth is an exciting addition for design-minded travellers and D.F. 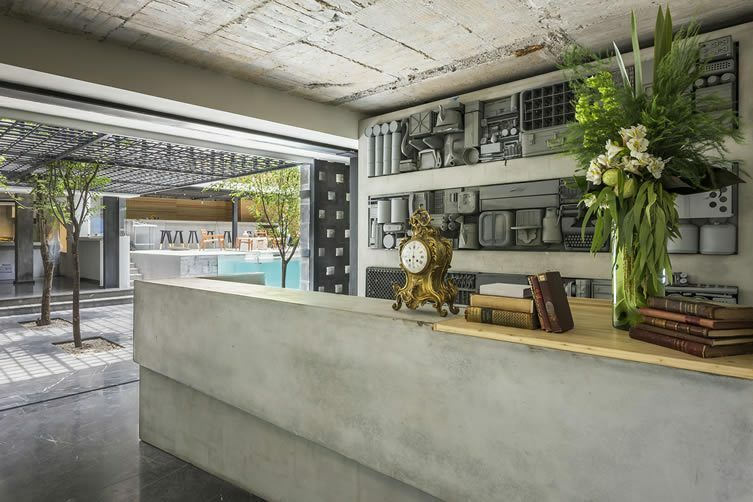 locals alike.